Let's take a look at what'cha been workin' on, shall we?? First up this week is a colourful dresser beautifully restyled by Lee. I LOVE 'Apron Strings' from the Miss Mustard Seed Milk Paint line . . . it could have something to do with my current coral obsession, lol! This dresser is heavily distressed to show multiple layers of colour and I think it would look great in a lakeside cottage or cheery guest bedroom! Thanks for sharing Lee! 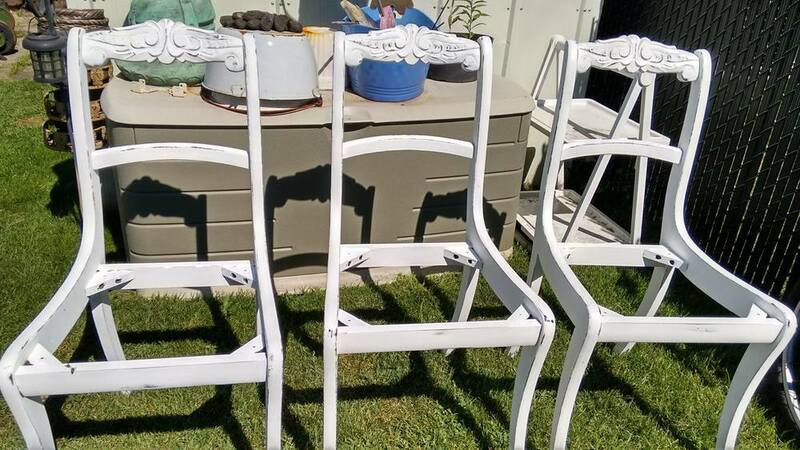 It's all chippy and distressed and beautiful! Click here to see a couple of pieces I restyled in 'Apron Strings' a while ago. 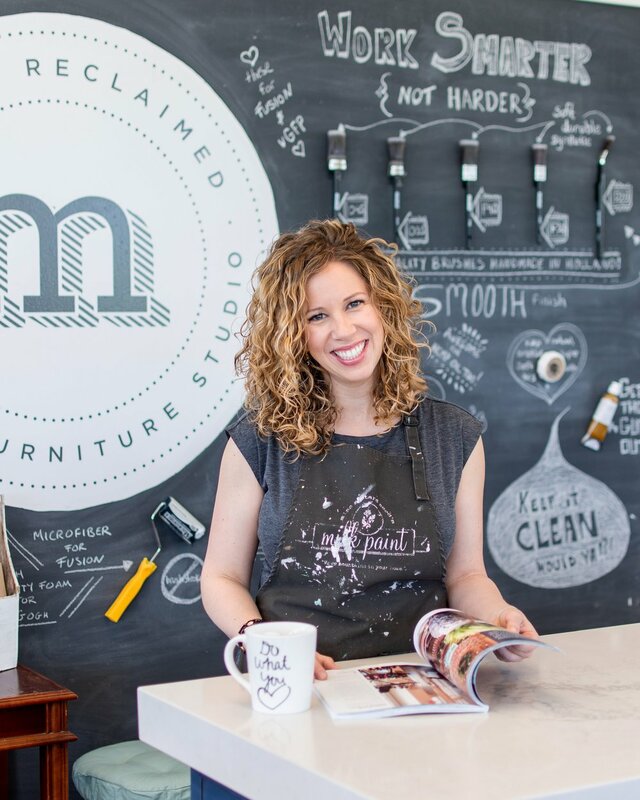 Next up - check out this sweet little table and chair set restyle by Mary. She took a set that was dark and heavy looking and transformed it into something sweet and cheerful! Mary used van Gogh chalk based paint in 'Halo' along with some new fabric to restyle this set and I think it's adorable! Thanks so much for sharing Mary! 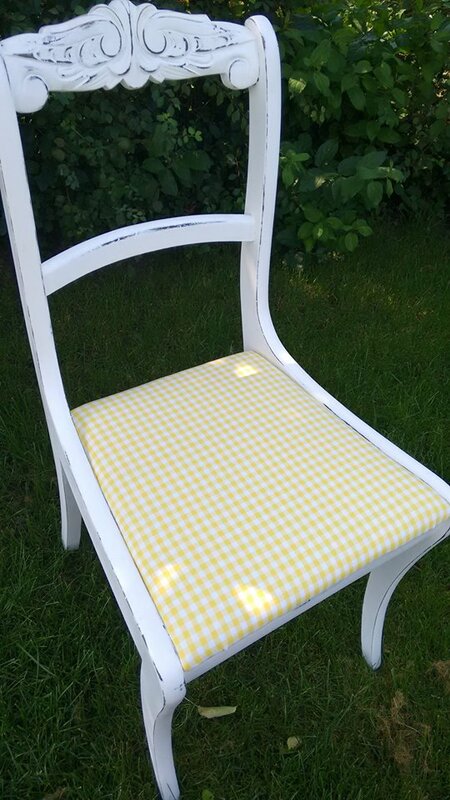 I love the gingham fabric in yellow - so cheerful! 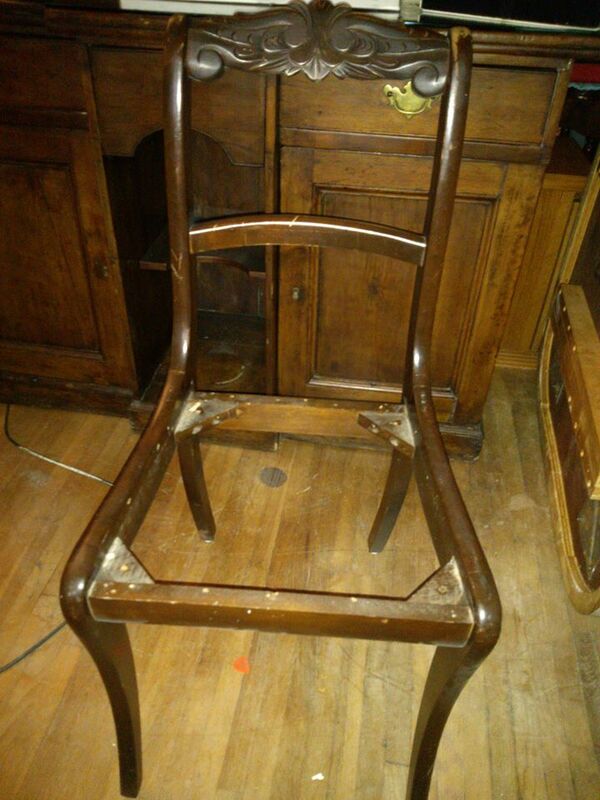 Here's a peak at one of the chairs and the table 'before' . . . you get the idea! Click here to see a couple of super cute bedside tables that I restyled using 'Halo' and a fun pop of colour. As an added bonus, here is another piece restyled by Mary - a sweet little dresser van Gogh painted using 'Mascara' and a combination of 'Halo' and 'Mascara' for the drawers. I think Mary was to excited to start this project that she forgot to take a 'before' picture, but I'm sure glad she has shared the 'after'! Thanks again Mary!